Gameloft Launches "The Blacklist: Conspiracy" Game in association with Sony Pictures Television. Recently Gameloft collaborated with Sony Pictures Television to create an interactive replica of the hit television series - NBC. So on 24th June 2016 Gameloft announced "The Blacklist: Conspiracy," A mobile game that mimics NBC series. Whereas it is available across all platforms, Yes even Windows Phone. So now one can have a total immersed alongside watching the drama series which is quite popular, Worldwide. Users now get a chance to interact with the characters within the app by touching down various levels. Attention to detail has been showcased at its best here; You also find some unique features added in the game. If you've ever played criminal case on Facebook, you would feel right at home here. Most of us are forced to play such games right? Facebook app requests/notifications you see, haha. But don't worry, The Blacklist Game won't constantly pester you. In fact, you would be the one who would regularly open the app, Judging the actual drama created in the series. The Game provides you with the practical thrills from the series providing an immersive experience. You get deployed to find the hidden objects. The Blacklist Game has the full cast shown in the TV series including Raymond Reddington and Elizabeth Keen. 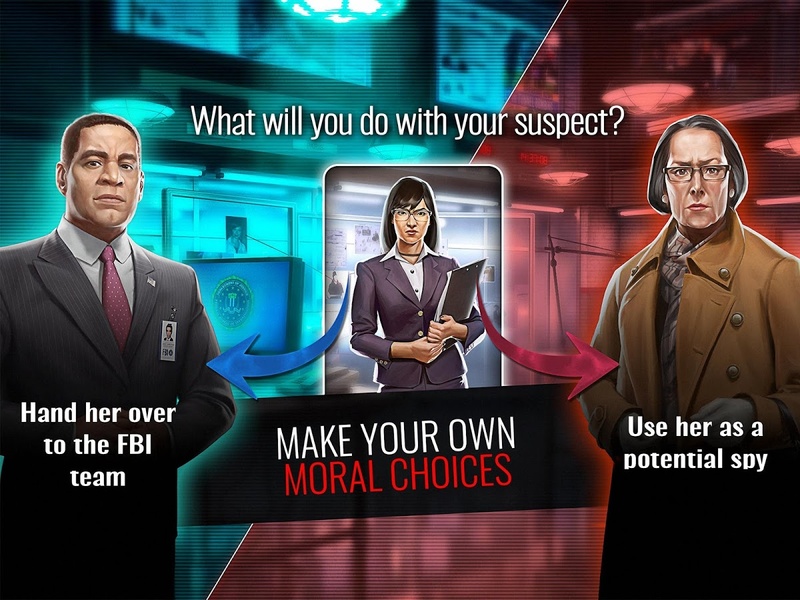 The Game focuses on adding an interesting feature to the hidden object genre such as unique interrogations, Mini Games and adding choices which affect the gameplay increasing engagement. Players should analyze the clues to investigate crime scenes for chopping down criminals. Whereas Jon Bokenkamp, Creator & Executive Producer of The Blacklist television series said, “The Blacklist: Conspiracy’ lets fans experience the characters & the world we have created in an entirely new way. I think players will find it to be a riveting extension of The Blacklist world”. So you can download the Blacklist: Conspiracy right now from Google Play Store & App Store - for both Smartphones/Tablets, Whereas it'll be available on Windows Phone Store, shortly - Ouch.